Impress Your Coworkers by Using SQL UNPIVOT! – Java, SQL and jOOQ. 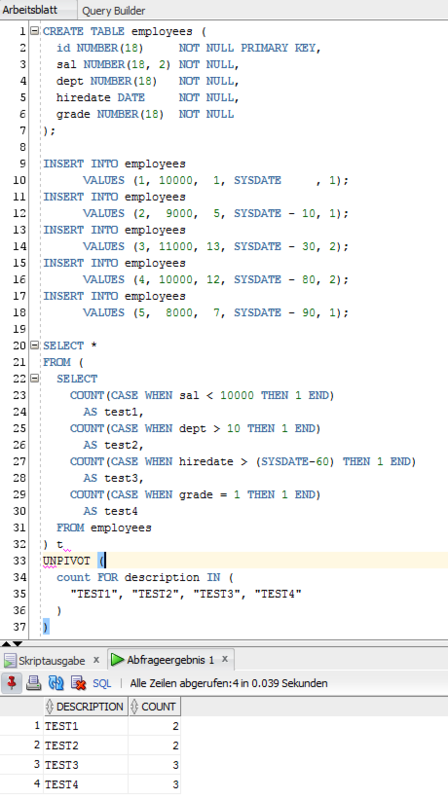 Shouldn’t the UNPIVOT query be like this instead? The one on your post is missing the `Description` and the `COUNT` aliases. I don’t get it. The inner-table only has 4 columns: test1, test2, test3 and test4. How does the UNPIVOT know that the description is in those columns because it has no notion of any `description` column.